​April meeting we had a great group of volunteers sewing for the Puppy Pillows. Thank you Arlene Goldberg that leded the program. ​ Thank you to everybody that participated. May - I will be out of the country on May's meeting but Mayra Dias will guide the program with the Girl Scouts afther our meeting. Bring your sewing machine and thread, they will provide the material. Support our community. 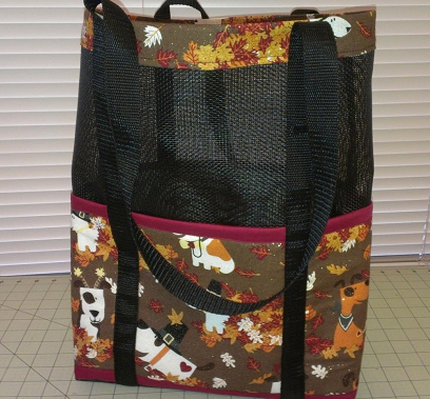 Jun: Denise Glaser teaching : Pet Screen Tote Bag . Fabric for body trim - 4 strips 2 1/2" x 20"
Fabric for top trim - 2 strips 3 1/2" x 20"
​Sign up for Pet Screen Tote Bag class with Denise Glaser Jun 10th afther our regular OW meeting.